Junk King Dallas likes to move fast. Each junk removal session is staffed by two strong movers. They’ll be rolling up in a truck big enough to hold whatever it is you want to toss out. With that kind of help, it doesn’t take long to remove sofas, futons or even of old refrigerator. It is amazing how quickly home can fill up with stuff. Junk King is happy to accommodate your schedule but it might mean you need to do some pre-sorting. 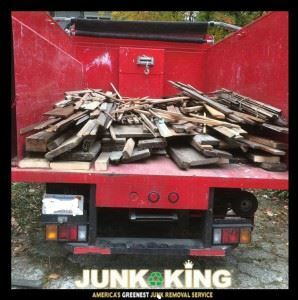 There’s nothing wrong with setting up several appointments with Junk King if that’s what it’ll take to clear out all of your stuff. Clearly, this is a very popular option! Add it all up and it’s clear to see that for quality and of affordable junk removal, Junk King Dallas is the only company to hire. This entry was posted in Dallas Junk Removal and tagged Junk King, junk removal, reviews, rubbish on September 25, 2017 by Junk King. Last updated September 25, 2017 .